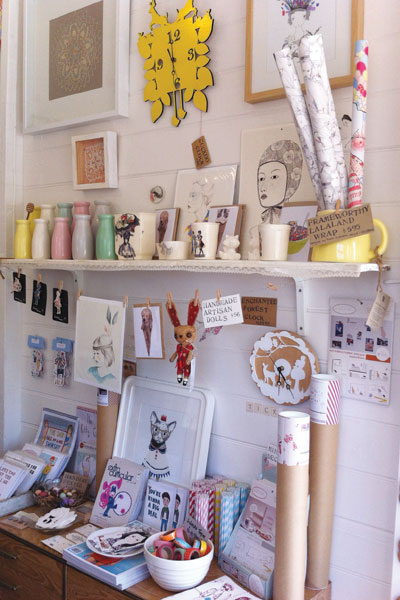 FK chats to El from her lovely Bangalow based shop, One Fine Day Handmade. 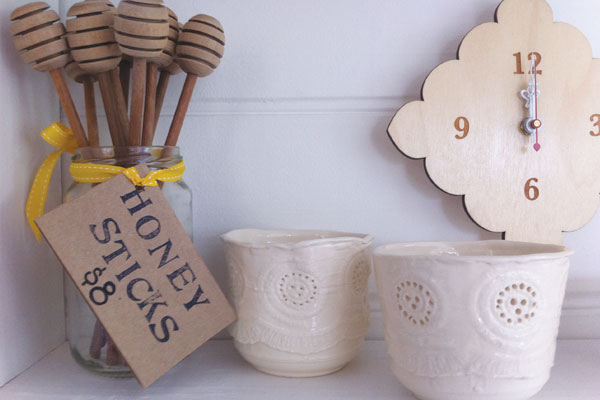 Tell us about your store One Fine Day Handmade and what things we can expect to discover. 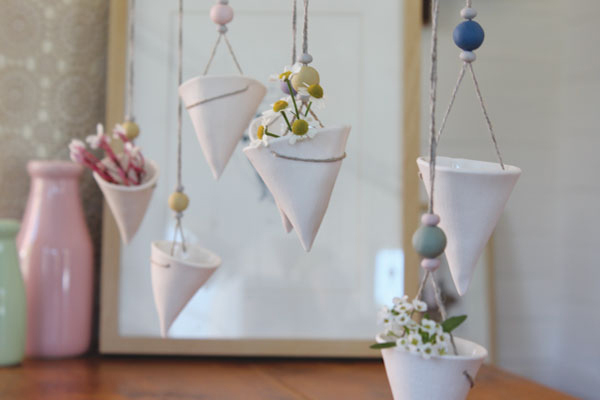 One Fine Day Handmade is a little boutique of paper and handmade tucked away within an old weatherboard cottage in the sleepy town of Bangalow. 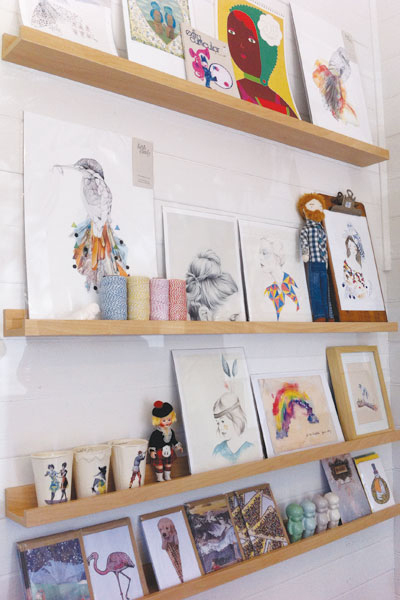 We are all about promoting the exceptional work of Australian and New Zealand Independent creatives including illustrators, crafters and artists and our little shop is full to the brim with their work. This includes bespoke paper and cards, art prints, handmade ceramics and textiles, wonderful independent zines and magazines, brooches, ribbons, buttons and basically anything I can’t resist! I believe it brings a certain warmth to the shop to know that each piece was dreamt up and made with love by the artist – I am never dealing with a faceless company. Love of art, design and beautiful aesthetic have been a constant in my life. I studied Visual Communications in Sydney and then worked in Film and Television Art Departments as a graphic designer. We decided after having our first daughter to move up north for a change of pace and lifestyle. I woke up one morning and I thought I’m going to start a little shop when we get there and call it One Fine Day. So, I did. I was pregnant with my second daughter when I started work on the space, which took a lot of elbow grease to transform into the wonderful little shop it is today. It was a busy time, quite challenging but lots of fun. Through having my shop I have realised that I love selecting, sorting, sourcing and putting it all together, it reignited my passion for art and design and it has inspired me to create again in the few spare moments I can steal to myself. One Fine Day Handmade was started with very little start up capital, so at the beginning I had to be very careful and selective with my product choices. I made a deal with myself to only buy what I absolutely loved and that has really worked for me. It is funny like that, the space becomes so much a part of you that you can sense quite quickly when there is a disparity. What I look for in the products I select is beauty in the aesthetic, quality of craftsmanship and innovative concept. The relationship I have with each supplier is so important to me and I find it wonderful that through the shop customers begin to look at product differently, they stop and appreciate where each piece has come from and how it may have come about. I love that it has been a place of beautiful connections. 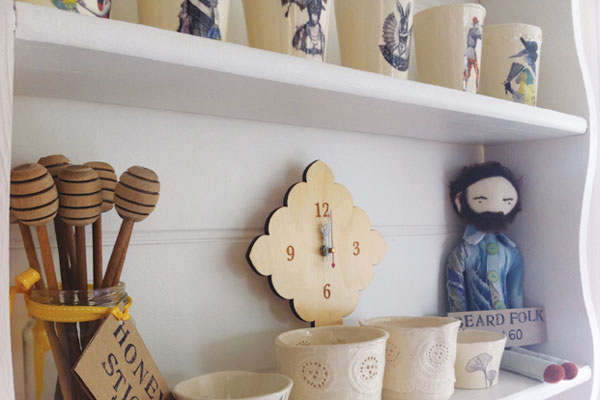 I have met the most fabulously creative people whose work brings the shop to life, I have met wonderful like minded people from the area and it’s surrounds – the beautiful girls behind Love Mae and Paper Runway for instance. It has also connected my little family in the most splendid way. I love it when the shop is buzzing on a market day, the whole family eating fresh doughnuts out the front, my daughter doodling pictures at the desk, or manning her “market stall” out the front, kids playing in the yard… it’s totally nuts sometimes but we love it. 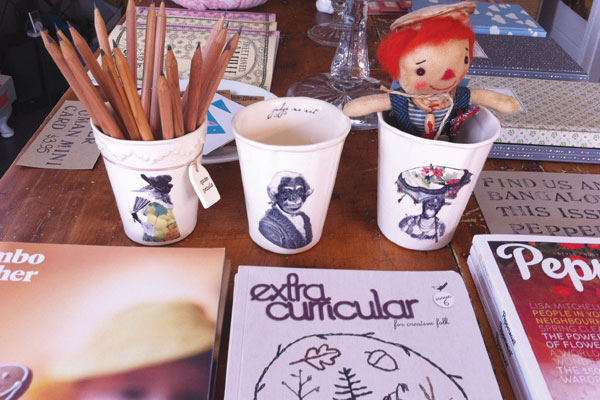 What is the design & art scene like in Bangalow? I have met a few great local artists such as Michelle Dawson whose work is so inspiring and there are a couple of beautiful galleries on the main street. A new bi annual market Sew & Tell: Handmade & Hand-me Down Fair is being held for the second time this summer and it is brings together such a wonderful mix of fresh crafters, artists and thrifters from around Australia. I hope to see more innovative ideas and upcoming creatives have the opportunity to come into the area and build on the wonderful base that makes the town so special. Oh… so many. A very prominent one for me is realising that the pace that I can travel at nowadays with two young children is very different to what I was capable of in the past. I need to exercise some serious patience and acceptance which I have certainly not mastered! I have so many ideas for the shop, so many displays to be made, so many artists to find, I could go to town but sometimes I have to go slowly, slowly, slowly. Online was also a new world for me and I wanted the lovely atmosphere of the shop to translate on this platform. It has been wonderful that so many international people have stumbled upon us and have really appreciated the excellent work coming out of Australia & New Zealand. 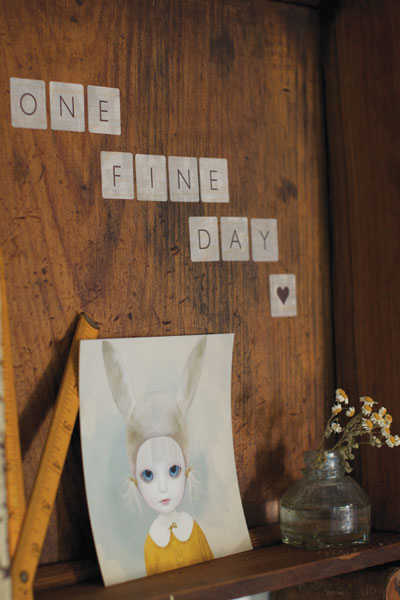 What are your hopes for One Fine Day Handmade in the future? That it breathes and grows and continues to take on a life of itself. It has been such a blessing in so many way. We have never been about profit being the bottom line, we want to create an authentic experience for everyone that walks through the door! In the future I hope to move into exploring collaborations with artists and bringing to life the many creative ideas buzzing around in my head.